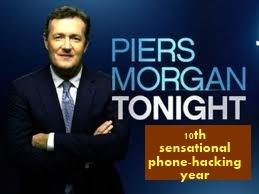 HACKGATE DAY 343: Smears from Piers may soon be tears – The Slog. The gentleman desires that all who read this and find it pleasing should distribute it as broadly as possible, most particularly in the Colonies. 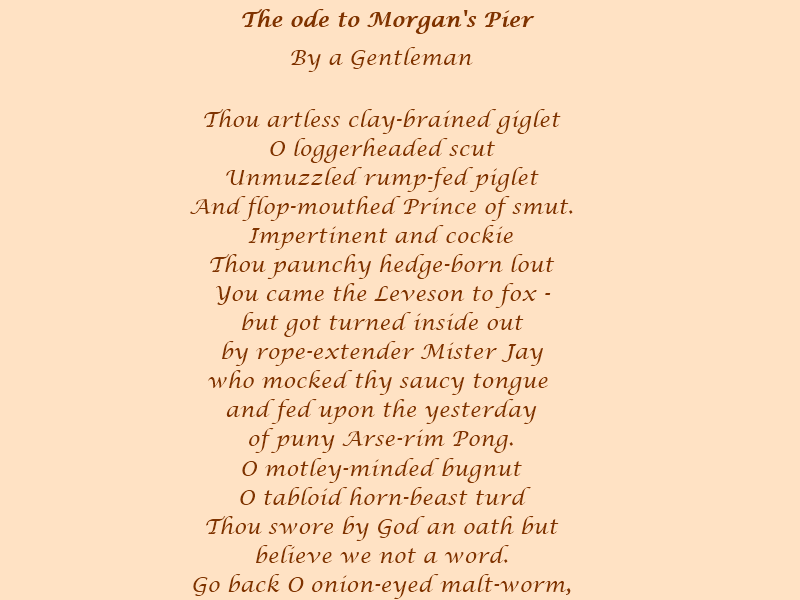 Previous Previous post: HACKGATE DAY 342: Morgan’s credibility flushed down the pan by Leveson’s Jay. He kissed the girl – he liked it! Piers and Susan up a tree K I S S I N G .
He should peel off that face and reveal his real self… fking shapeshifter! The only person I feel sorry for in all this is Susan Boyle. I feel sorry that lady will have to come to terms with what a rotten scoundrel her benefactor really is, it will be an awful shock for her. I find Piers Morgan’s professional relationship with Meradith Kercher’s father fascinating. Wow, JW you really have a bee in your saddle for PM..
Once more, right on the ball with Piers Morgan. Although I still disagree with you about Tom Watson MP. Thanks JW. I am always looking for inspiration for new mottos for homemade crackers. This year the insults will as rich and fruity as the Christmas pud.